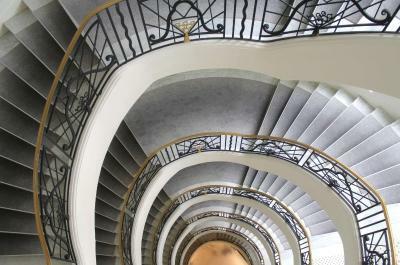 Lock in a great price for Hotel Martinez - in the Unbound Collection by Hyatt – rated 9.2 by recent guests! We lived the elegant but also very comfortable atmosphere. It felt natural and not too stuck up... the staff is amazingly attentive and friendly in an authentic way. It looks like they are happy with their jk s and with colleagues. This is really important. We lived all the facilities. The refit is well done. The service in the breakfast room is amazing. The front door staff were very welcoming and resourceful. All in all will be my hotel for my next Cannes visit. No doubt. Staff very friendly. Spacious, bright, welcoming. Everything was absolutely fantastic! 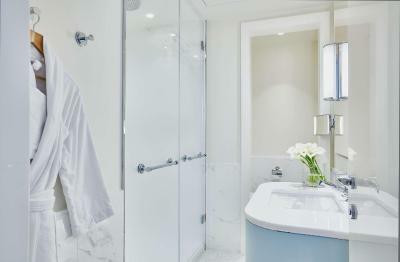 Cannot wait for my next stay at the Martinez! This was one of the best stays in the south of France I loved every minute of it. It was really beautiful from the check in to the check out. Location, facilities, staff, cleanliness, restaurants; all very good. 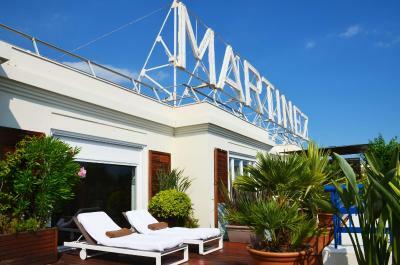 A night at the « Martinez » is must ! A great experience ! My wife and I had a wonderful time. The staff was so friendly from the reception to the valet, room was comfortable, food & service were excellents, I recommend a stay at the hotel. 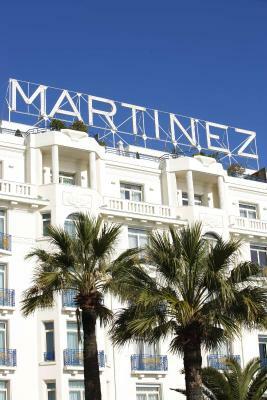 One of our top picks in Cannes.Located on the famous La Croisette Boulevard in Cannes, Hotel Martinez - in the Unbound Collection by Hyatt is a 5-star hotel featuring a private beach, which is accessible for an extra charge. 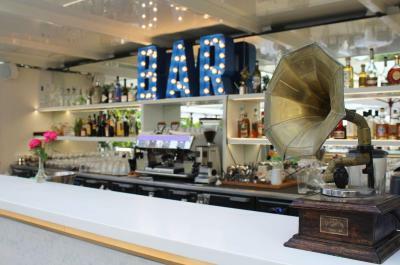 Guests can enjoy a meal in one of the onsite restaurants or a drink at the Martinez bar. 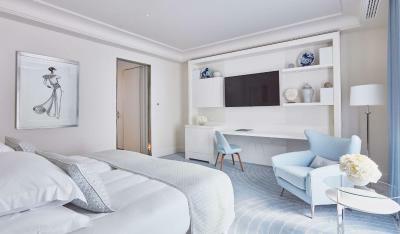 Entirely renovated in May 2018, guest rooms at Hotel Martinez - in the Unbound Collection by Hyatt are decorated in a contemporary Art Deco style and feature a seating area. 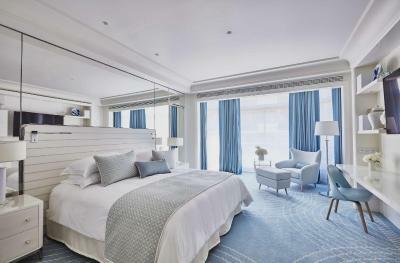 Each air-conditioned room features a marble bathroom and some have a private terrace with views of the Mediterranean Sea. Opened in May 2018, the restaurant Le Jardin du Martinez offers seating on a terrace in the shade of palm and cypress trees, and in fine weather guests can enjoy the 1930's themed garden parties hosted at the restaurant. The Version Originale restaurant serves Mediterranean cuisine with an international twist. Guests seeking a fine dining experience are invited to dine at the 2 Michelin star La Palme d'Or restaurant, which specializes in cuisine inspired by cinema and offers a view of the Croisette. Located on the beach, the La Plage du Martinez restaurant serves Mediterranean cuisine with local produce and fresh seafood and a DJ entertains guests every night in the summer. The Martinez Bar celebrates the history of the Hotel Martinez and proposes a range of cocktails and gin and tonics, in addition to a nightly live culinary show on the Teppan plancha grill. 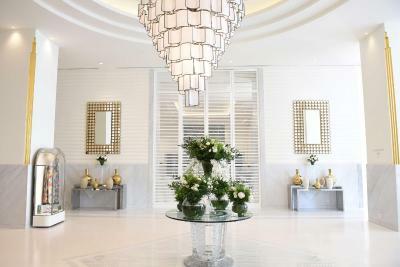 A range of beauty treatments and massages are available at L.Raphael Spa and guests can exercise in the fitness center. Hotel Martinez - in the Unbound Collection by Hyatt offers direct access onto the beach and is within walking distance of the shopping area. 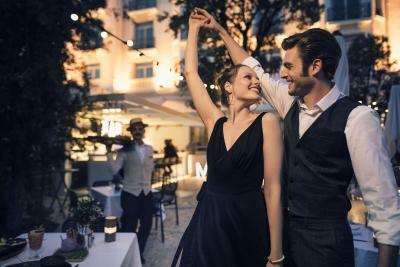 With a secure private car park, the hotel also offers valet parking. Nice-Cote-d’Azur Airport is 12 mi away. 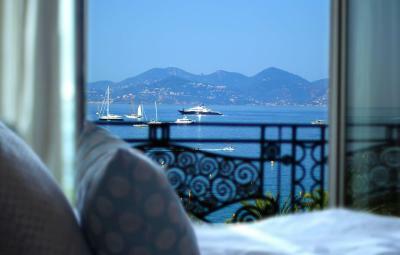 This property also has one of the top-rated locations in Cannes! Guests are happier about it compared to other properties in the area. This property is also rated for the best value in Cannes! Guests are getting more for their money when compared to other properties in this city. 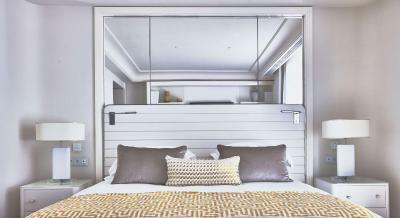 When would you like to stay at Hotel Martinez - in the Unbound Collection by Hyatt? 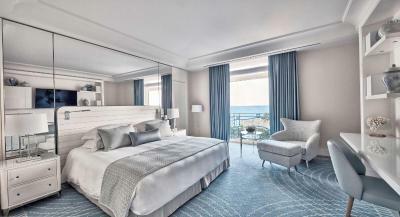 Decorated in an Art Deco style, this room offers views of Cannes and a small marble bathroom. There is limited wardrobe space. Private parking is available on site (reservation is not needed) and costs EUR 45 per day. Offering views of the Mediterranean Sea and Esterel Mountains, this room is decorated in an Art Deco style and features a seating area, a desk and a marble bathroom. 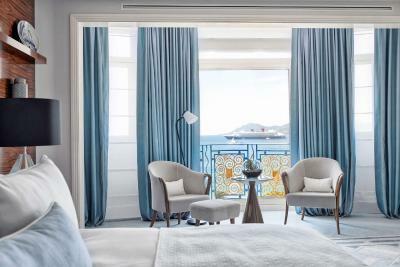 Offering views of the Mediterranean Sea and Esterel Mountains, this room is decorared in an Art Deco style and features a seating area, a desk and a marble bathroom. 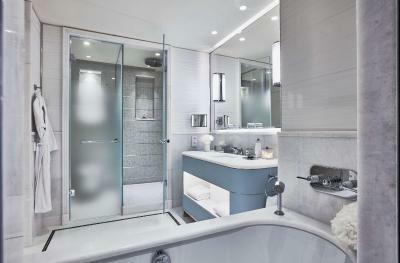 Offering city views, this room is decorated in an Art Deco style and features a seating area, a desk and a marble bathroom. This suite is decorated in an Art Deco style and features a 98 ft² private terrace furnished with teak furniture, sun loungers and partial sea views. 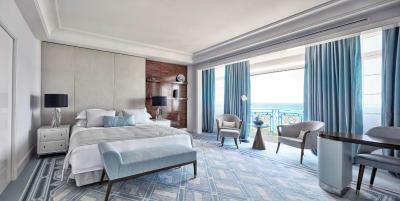 Offering sea views, this suite is decorated in an Art Deco style and features a bedroom, a separate dining and living room, and a marble bathroom. There is also a walk-in wardrobe. 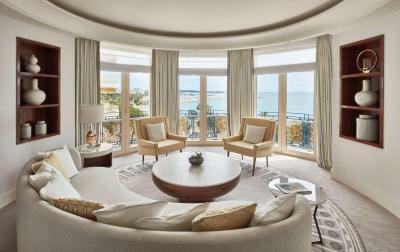 This room is decorated in an Art Deco style and offers views of Cannes. 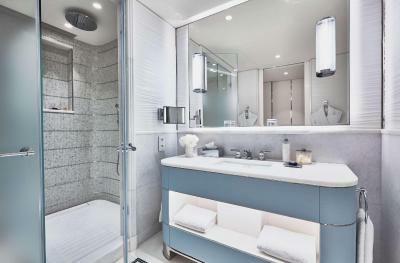 It is located on a lower floor of the hotel and has limited wardrobe space and a small marble bathroom. 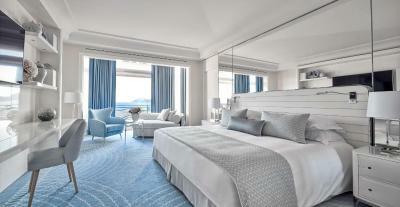 This suite is decorated in an Art Deco style and offers views of Cannes. It has a sofa bed, bathrobes, a seating area and air conditioning. 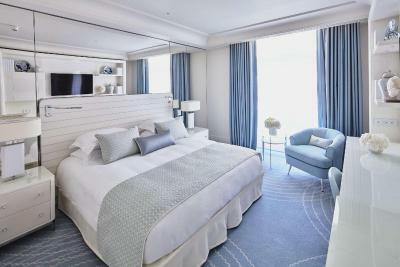 This suite is decorated in an Art Deco style and offers views of the Mediterranean Sea and the Esterel Mountains. There is a sofa bed. 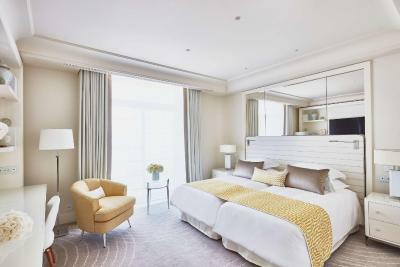 This room is located on a lower floor of the hotel and is decorated in an Art Deco style. 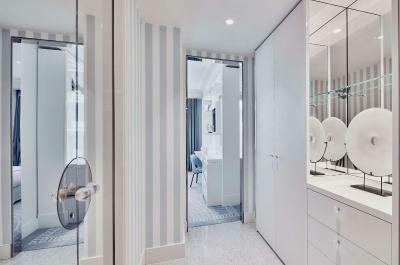 It offers views of Cannes, limited wardrobe space and a small marble bathroom. 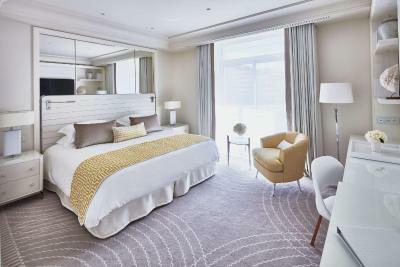 House Rules Hotel Martinez - in the Unbound Collection by Hyatt takes special requests – add in the next step! Hotel Martinez - in the Unbound Collection by Hyatt accepts these cards and reserves the right to temporarily hold an amount prior to arrival. Please note that due to annual closure, maintenance work or seasonal reasons, some outlets may be closed at certain times of the year. Please note that the La Plage du Martinez restaurant is open as of mid-April. Sun loungers are available on the beach for an extra charge. Guests are advised to reserve loungers in advance. The spa is closed in February. La Palme d'Or restaurant is closed in January and February. Please note that animals can be accommodated for an extra charge of EUR 70 per pet, per day. I think the price could be a little more reasonable for the size of the relatively small junior suit. Nothing! Everything about this hotel was amazing! Room service was dreadful and got orders wrong both times. The lady on checking us in was rude and arrogant, not what I expect from a 5star hotel. Better service. More choice of food. The seats were very uncomfortable. The breakfast was poor and service was below average. Actually nothing comes to mind. I liked everything. Some work is going on in the street and on the beach.